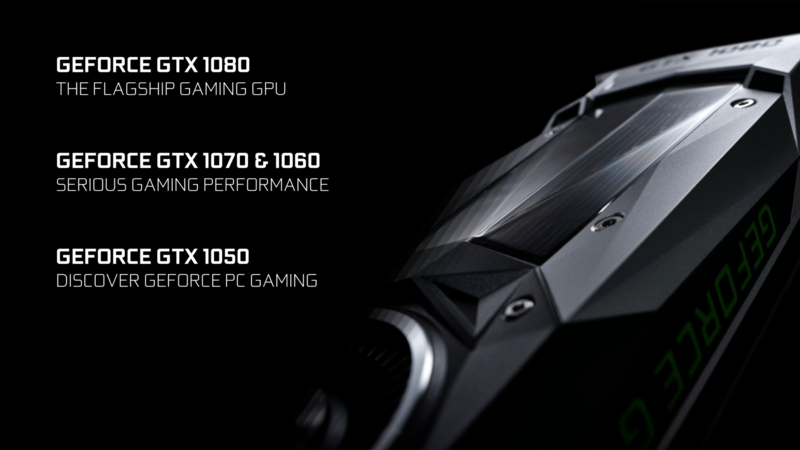 NVIDIA has officially introduced a second model in their GeForce GTX 1050 (non-Ti) family. The new model is based on the same Pascal GP107 GPU that the GTX 1050 uses but has better core specs, a cutdown memory interface and increased VRAM (via Videocardz). It looks like NVIDIA is still adding new GeForce 10 series cards amidst rumors of a next-gen launch. 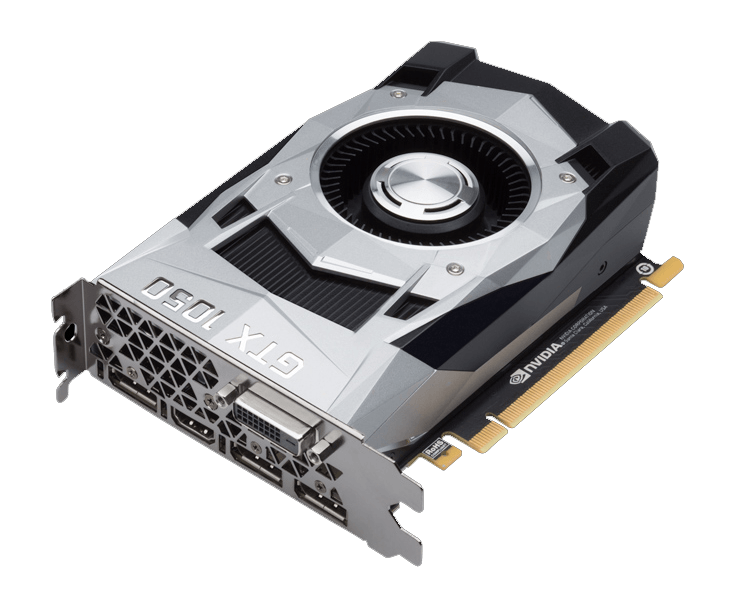 The updated GeForce GTX 1050 improves upon everything that the older model offered. The main reason for launching this variant is that the previous 2 GB model has serious memory limitations and with 3 GB, users can do slightly more productive work and games can perform better without the memory buffer being all gobbled up by the application. 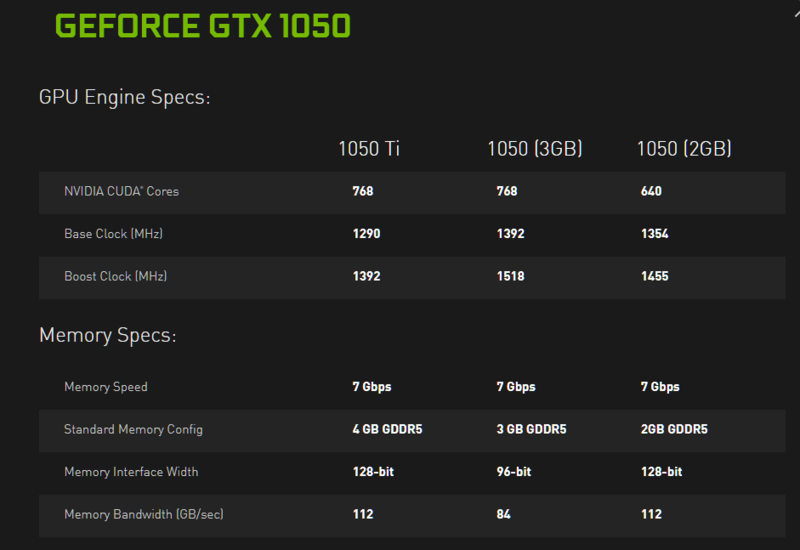 Specifications wise, the new GeForce GTX 1050 model boasts the GP107 GPU which looks to be the same SKU as the GTX 1050 Ti. This core features 768 CUDA cores, 1392 MHz base clock and 1518 MHz boost clock. The core specifications alone make it faster than the GeForce GTX 1050 Ti. But in terms of memory, we are looking at 3 GB VRAM, a 1 GB improvement over the previous GTX 1050 but still 1 GB less than the GTX 1050 Ti. The memory is clocked at 7 Gbps just like all the other 1050 (Ti) models but is featured along with a 96-bit bus interface with a memory bandwidth of 84 GB/s. The card is still suggested to feature the 75W TDP so we can expect connector less and single 6 pin connector custom models in the market soon. NVIDIA may price it somewhere between the GTX 1050 2 GB and GTX 1050 TI 4 GB cards. The reason is that the core specifications are better than the 1050 Ti but the memory interface may have a performance limitation in gaming titles. So the card will be faster than the GTX 1050 without a doubt and probably trade blows with the GTX 1050 TI but the better memory specs of the Ti model would end up putting it in the lead.